Great character! I love Geoffrey Palmer--just looked him up and learned he's 86 now! Wonder if *he* likes custard tarts, too. These are gorgeous, Jean! I love custard, and love how these sound. 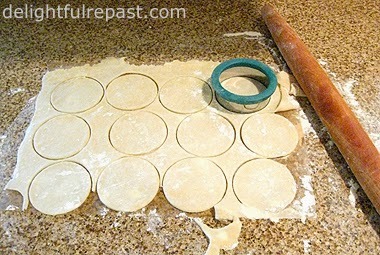 Pinning right now to make when I get my kitchen back. And thanks for the history note. I'm fascinated by the Middle Ages. Have a great day! Thanks so much! I hope your remodel goes smoothly and you have your kitchen back soon. Being British I like a good tart with a warm heart to it. Does your husband like a good warm tart too, Jean? No, you couldn't resist, Tony! Reminds me of one of my favourite lines from Good Neighbors/The Good Life; Margo says, "That's the last time I play the tart for you, Jerry." I don't believe I've ever eaten one of these but they sure do look good. 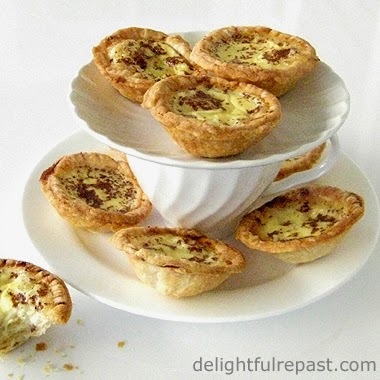 I LOVE vanilla custard so I'm sure to like these mini pie-tarts. Yum. Richard, thanks! They're kind of fun to make, too--a little "fiddly," yes, but fun! Thank you, Bonnie! I hope you wil make them soon! Thank you, Vohn! Now I'm in the mood to make little mince pies. These tartlets are very beautifully done, Jean. Simply irresistible! Diana, I hope you will! They'd be a healthy little treat for the grandchildren! Thanks, Angie! I've always liked little individual treats. Three or four bytes? Hahahahahahahahahahahahahaha! If they’re good – and they look it – they will not be nibbled by the likes of Henry IV. Picture Mammoth Cave with a conveyor belt. Ditto Sully the First. I used to buy a dozen custard donuts and just eat out the part that had the filling. Yes, I hang my head in shame (also to hide the smile of satisfaction). Of course, I wouldn’t do that anymore. Ten…maybe 10, but not a dozen – yeesh – that would be overdoing it, eh wot? Move over Hank IV. Hank the Fourth, Sully the First--Bet neither of you could compete with Henry the Eighth, unless you also throw gigantic bones over your shoulders! I used to make custard tarts for my hubby when we watched As Time Goes By and we would laugh because our story was almost the same as as Jean and Lionel's. Always happy to have a new recipe. Lana, that's amazing! Thanks for sharing that bit of your story with me! Now I'll think of you whenever we have custard tarts! Sorry it's taken me a couple of days to come and pay appropriate respects to your custard tarts! They look delicious and isn't it funny how the nutmeg makes the whole taste come together perfectly? Thanks, Pauline! Yes, custard tarts are like eggnog -- you *must* add the nutmeg! Thanks, Arti! I'll have to give the Chinese tarts a try! My brother-in-law (who hosts our Thanksgiving get togethers) loves custard, I might have to bookmark this for November. This past Thanksgiving I made your Angel Cake with custard sauce. (Big hit!) This would be something fun and new to try. 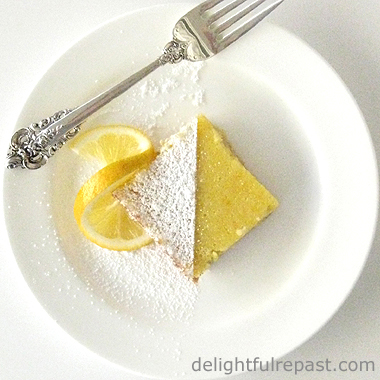 Ruth, thank you so much for sharing that with me -- I love family food stories! Let me know how it turns out for you. I like that, Charles--a more refined, adult taste! I just have never liked overly sweet things. Hi Jean...I was raised with custard tarts made by my Nana...indeed a British tradition. Can't say I have made them in agea...that might have to change! Thanks for linking to Tuesday Cuppa Tea and have a wonderful 4th of July weekend! Ruth, thank you. And do let me know if you make some custard tarts. I'm going to make jam tarts this week. Jean, I love your presentation with a tea cup and saucer. I enjoy As Time Goes By a lot. Thanks for sharing the recipe for Custard tarts. Sylvia D.
I've only had Portuguese custard tarts so it's a complete revelation that it's also a British tradition. Sylvia, thank you. And I'm so glad to find another As Time Goes By fan! Margie, I'm so glad this was a "revelation" for you! That is sooo fun! These look delicious Jean! Always wonderful recipes here! Thanks, Bernideen! I'm posting a new one on Thursday that you might like! These look amazing! I wish I was more confident when it comes to crust because I am terrible at it. But this may make me give it a go. Thank you, Magnolia! I hope you will. I have lots of different pastries on the blog. Check them out! Sandi, thank you! And if you do what I do--limit my sugar intake to never more than 6 teaspoons in a day and never snack after dinner--you won't have to worry about your waistline. Dear Jean: These are darling for Afternoon Tea! My company loved your Hummingbird Muffins I made them and my friend took home your recipe! Sorry I am just coming to comment on this post now but with company I was extra busy. Bernideen, that's wonderful, thank you! I hope your friend will visit the blog some time.